about me: Patient success is what drives me. I’ve been working in this industry for almost 20 years and I’m amazed by how far science has advanced in that time, and how much more we can now learn about our patients through in-depth testing. We now have the information and tools to actually help patients prevent diseases. Nothing is more rewarding than when I receive an email from a patient thanking us for changing their life. bio: Keith comes to the biostation with over 17 years of experience working in hormone replacement therapy and functional medicine practices. 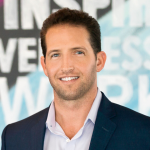 He started his wellness journey in pharmaceutical sales specializing in functional medicine. Through his experience serving multiple doctors, he saw a major need to help these practices build better methods of patient care and patient satisfaction programs. He then started his own company where he teamed up with physicians across the country to develop a 24/7 accessibility program to ensure better patient experiences. Keith has been trained by numerous physicians who specialize in functional medicine and seen tens of thousands of patients enjoy the benefits of these therapies. His passion for helping patients achieve their wellness goals and his commitment to bringing a concierge level of care to a clinical environment inspired him to open his own medical anti-aging practice. In April 2013, he partnered with Ross Bloom and Martin G. Bloom, M.D. to launch the biostation Delray Beach, with the mission of improving patient care at every touchpoint. The personalized, patient-centric approach of the biostation has proven to be so successful and in demand that Keith, Ross and Dr. Bloom will be opening their second location in Miami in 2017.